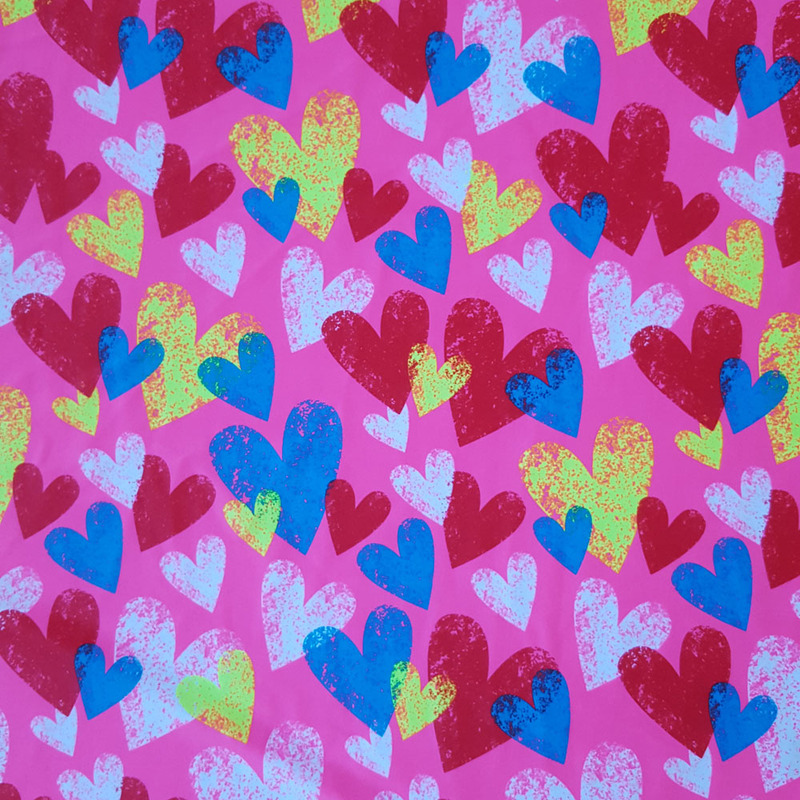 Multi heart print on a bright pink background Lycra with a 4 way stretch. Fabric is 145cm(57") wide, 82% Polyester 18% Lycra & SPF50. Essentially, Lycra and Spandex are the same thing. Lycra is a brand name, Spandex is the generic name for Elastane. Hand-Wash / Cold Water Machine Wash, Low-Heat Tumble Dry - Gentle Cycle, Line Dry (Low-Heat Iron), Do Not Bleach, Suitable For Dry Clean.